My name is Ariel, but you can call me Yel for short. 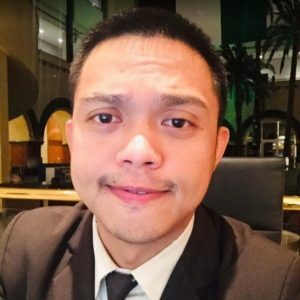 I’m 33 years old and I’m from Manila in the Philippines. I started working in the BPO industry as a Customer Service Representative for a few months. Then I was appointed to a different line of business which requires a higher level of experience because of my attitude towards work. I am very dedicated, passionate and ambitious – and my employers saw my potential. I was grateful to accept the offer. Eventually, I took the risk of applying for a higher position. My superiors didn’t have any second thought, they promoted me right away. It was an amazing 5 years of experience working with the same company. My co-workers say that I am very funny, interesting and have a good sense of humour. As soon as I meet new people who are happy to meet me, I feel extremely comfortable with them. I believe that friendship is one of the most important values in life. We exchange new ideas, find many interesting things about each other, and experience new things together. I appreciate friendship and the people who surround me. Working in an office hasn’t always been easy. Apart from the exhausting traffic and travel expenses, you spend so much time commuting – which is time not working and being away from your loved ones. This made me think about working remotely instead. Being a Virtual Assistant allows you to work and be near your family at the same time. I’d heard of remote work back in 2014 when one of my friends talked of its benefits. I then created a profile and tried applying – but unfortunately, I was unsuccessful at securing work. I spent more time on my profile, covering letter and sample work, and continued to apply. And then, luckily, I was hired by a reputable company and gained valuable experience of being a VA. It was very challenging when I first began because I had no idea about how the whole structure works. I had to study a lot, acquire new skills and learn new tools by myself. Fortunately, I’m very resourceful and searched for guides online so I could learn to master the tools that would be useful to a Virtual Assistant. For a copy of Ariel’s resume please click here.